The Space Policy Institute cooperated with Tokyo University of Agriculture and Technology (TUAT) to discuss topics such as international space cooperation and utilizing space technology for international development and economic growth. The students from each university made proposals about topics and discussed each proposal in a panel discussion held by International Student House (ISH), and organized by Space Generation Advisory Council (SGAC) and Japan Aerospace Exploration Agency (JAXA). 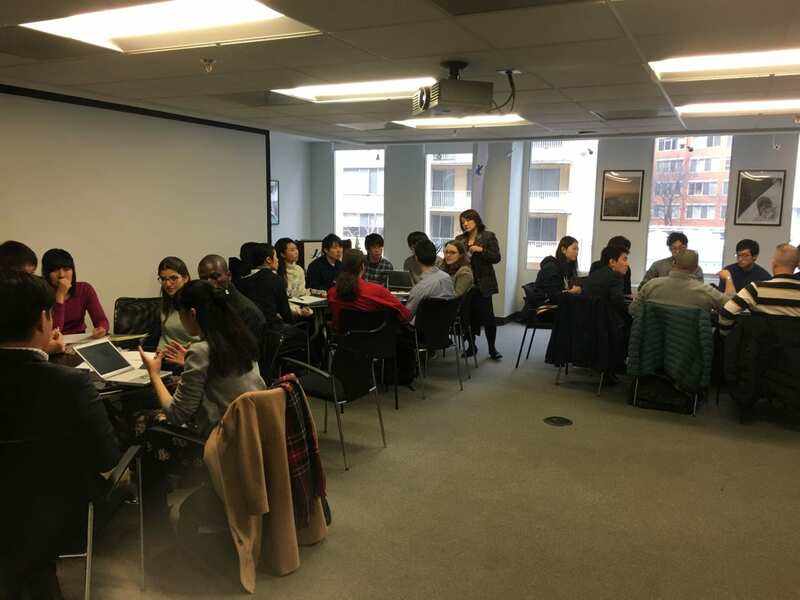 On day 1, SPI students discussed with TUAT students to sharpen their proposal in the in workshop held in the JAXA DC Office. Fig 1. Students discussed in three groups made depending on their interests. On day 2, students from both universities gave presentations in the panel discussion held in International Student House. 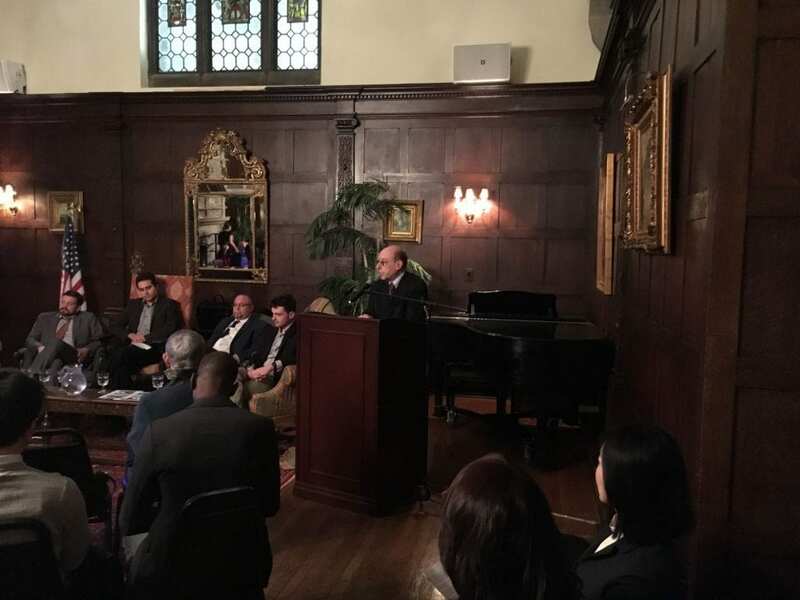 At the beginning of the event, Dr. Hertzfeld gave a welcome remark. Fig 2. Dr. Hertzfeld gave a remark at the beginning of the event.